Save time and improve code quality on every commit. If you're like me you're very proud of what you've created. No matter what your code does, its YOUR code, crafted with care and resulting in that one awesome thing. Once others look at it and think its very cool, they want to help and contribute to your code. This is great, now you have like-minded and enthusiastic people help you out. One drawback, they have different code styles. Now the code that you created with so much love is getting pull requests (PR) from other developers with code that doesn't feel like it fits in your code-base. Even though the functionality provided in the PR is great, the different code style continues to bug you - like a itch you just can't reach. Sure, its possible to setup your IDE to auto-style your code according to the project code style. But the people who make the pull requests don't have that. Pulling in their changes and changing the code-style - either by hand or through your IDE - is a big pain and waste of time. Plus, you don't want to hurt anyone's feelings by indicating that the code they wrote to help YOUR project out was bad by overwriting what they did. Having a solution that will automatically apply the code style according to the code standards of the project would fit great in this scenario. CodeOversight brings you fully consistent code in a effortlessly and automated way. With each pull request CodeOversight will automatically check the changed files for inconsistencies and creates a new pull request on top of the other with proposed consistency fixes. CodeOversight is a service that will continuously watch your repositories and when possible make changes and suggest them to you. CodeOversight was build keeping in mind that it should take away work from your plate, and not add to it. This is accomplished by not only listing possible improvements, but actually make them for you. The changes that CodeOversight makes are pushed to a new branch and a pull request is automatically made. This way you still hold full control which changes you want to merge when, and if wanted decide to not merge them at all. One or more developers work on a project. Inconsistent code is pushed to the repository. A pull request is made by the developer to merge with a branch (master). CodeOversight runs a build to fix code inconsistencies according to your preferences. CodeOversight will automatically create a pull request with the changes. We will review every request, but can't accept everyone in the closed beta. You will be kept updated about the different stages. 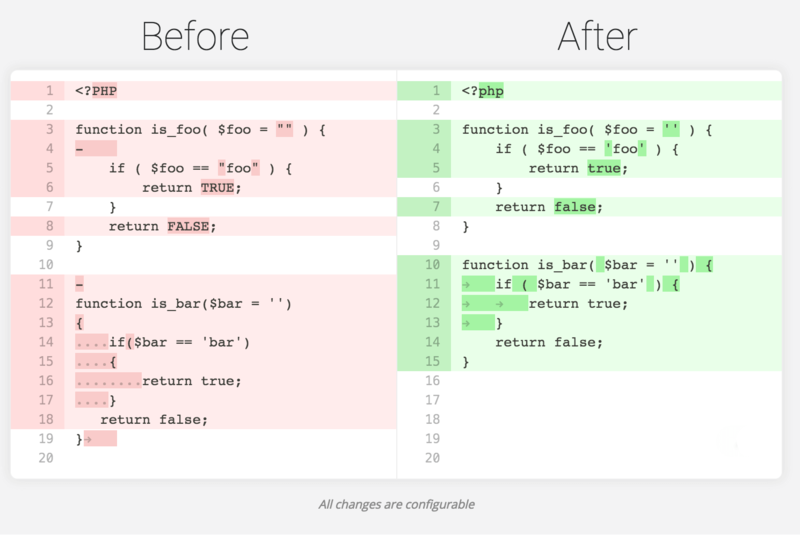 Stop spending hours on making code style changes. Let CodeOversight do the lifting for you by making and keeping your code consistent. Consistent code is the most important rule for writing quality code. CodeOversight will help your project to be consistent through the entire code base. CodeOversight will watch every commit made to your repository. Changes will be made where possible to keep your code consistent. Great for teams where multiple developers work on a single project. Great for open source where anyone can create pull requests. Great for personal projects to fix those oversight mistakes. Many code development tools add work to your plate. Our goal is to take work from your plate.